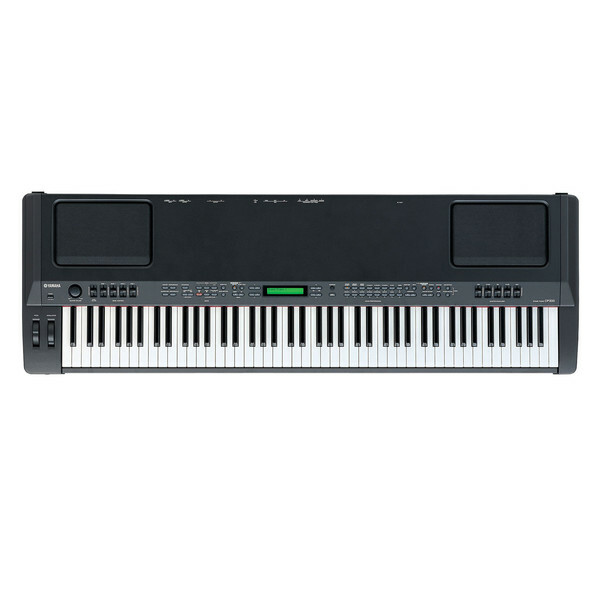 The Yamaha CP300 Digital Stage Piano features a GH-weighted action keybed designed to emulate the feel and sound of a traditional piano. The CP300 is ideal for touring musicians and live performers, featuring built-in stereo speakers which are perfect for practising and intimate gigs. 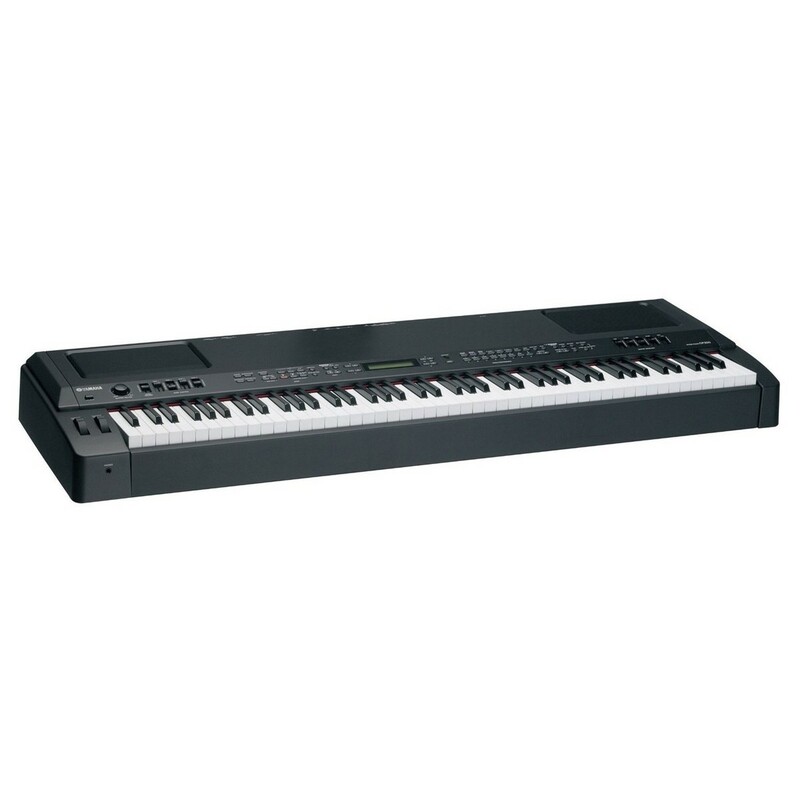 The Yamaha CP300 also features a 16-track song recorder/player, giving you the ability to create full songs for later playback. It also features 2-part Layer and Split functionality for added flexibility. It boasts 480 XG voices, 12 drum kits, integrated digital effects and versatile MIDI connectivity. 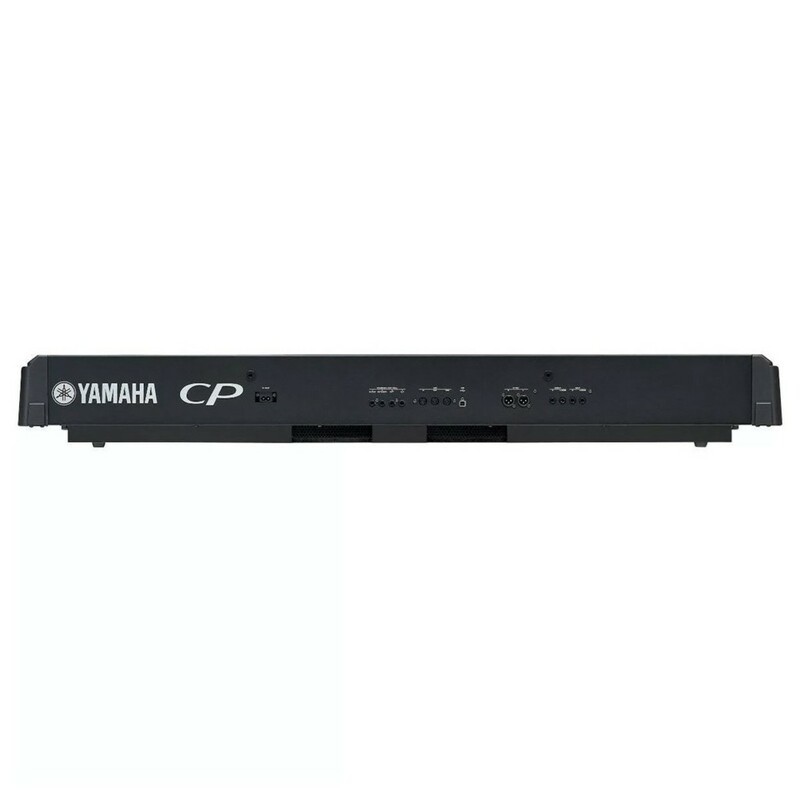 Additionally, the CP300 comes complete with a FC3 foot pedal for added expression when playing. Yamaha have a wealth of experience in creating digital pianos that sound and feel like premium acoustic models. The CP300 boasts Graded Hammer Effect (GHE) action keys which gives you an authentic resistance when playing. This increases from the top register to the lower just like a natural acoustic. This greatly enhances your playing and builds transferable skills and you become accustomed to the feel of pounding out lower notes and chords whilst your right hand dances across the sparkling highs. Carefully recorded stereo samples on premium quality instruments are used to craft the sound of the CP300. The CP300 features a special Mono Piano sound bolstered by a compression effect which has been designed especially for live performances. It has the power to stand out even in a full band situation. The CP300 also features the same pedal controls as an actual grand piano. Sustain, Soft and Sostenuto jacks are all available along with a fourth pedal input for controlling other sound settings. On certain piano effects sustain can be partially applied reproducing the half damper effect achieved on an acoustic instrument. The CP300 can be used to play and control external tone generators. Assign different voices to different sections and create multi textured layers of sound. The CP300's four instrument zones with panel sliders allow you to easily tweak the level of each instrument. Also freely assign sliders and wheels to control other sonic characteristics of your gear giving you complete control of your individual sound. Other handy little features like the locking function show the CP300 really has been designed with practical use in mind. Once you have all your settings the last thing you want is for someone to nudge a switch or press a button and give you a surprise in the middle of a performance! The Panel Lock button prevents this from happening. the professional quality balanced XLR outputs give you clean, clear and noise-free signal both for recording and live playing - where long unbalanced cables can compromise your sound. The CP300's built in stereo system on the CP300 means you can hear the sound of the keyboard without the need for a separate monitor.